* Manage security options: setting up a password on the HDD, remove a password, the rapid blurring of the information without the possibility of its restoration, etc. 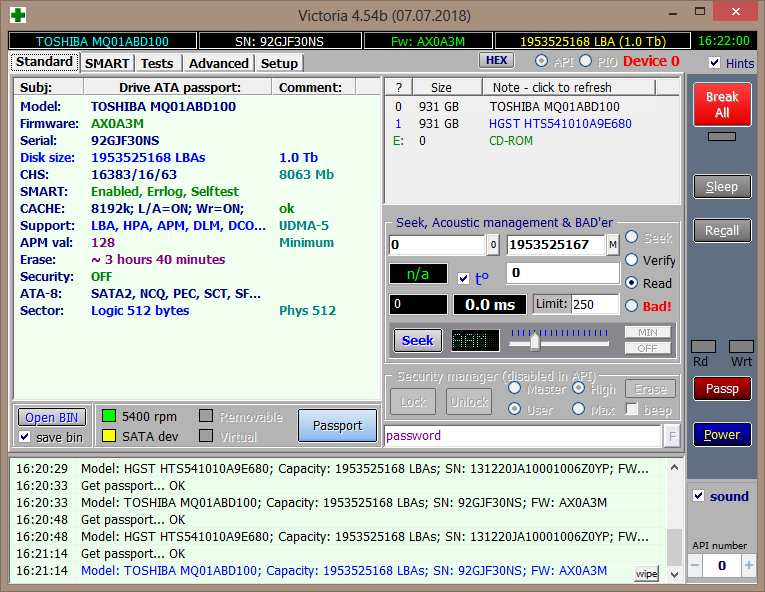 Victoria is still in development, the latest version- 4.54b was released on 2018-07-07. 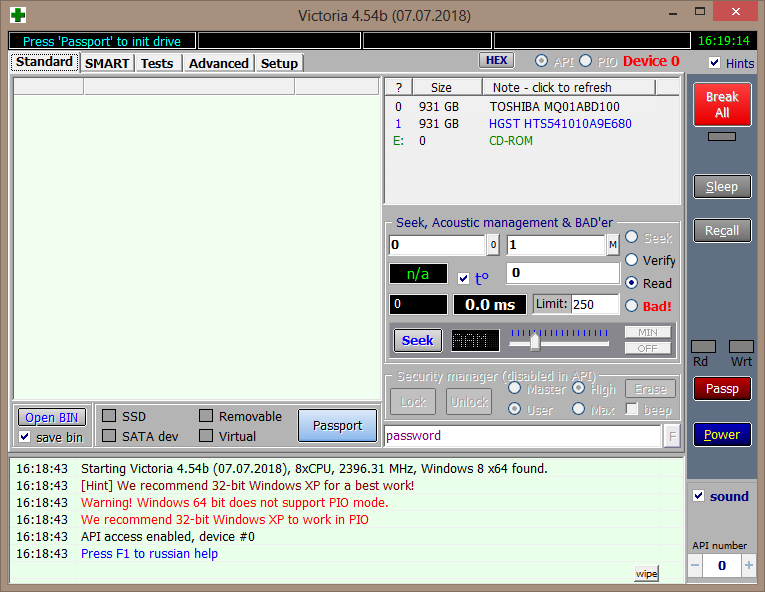 Direct Download Link for Victoria version 4.54b (released on 2018-07-07). 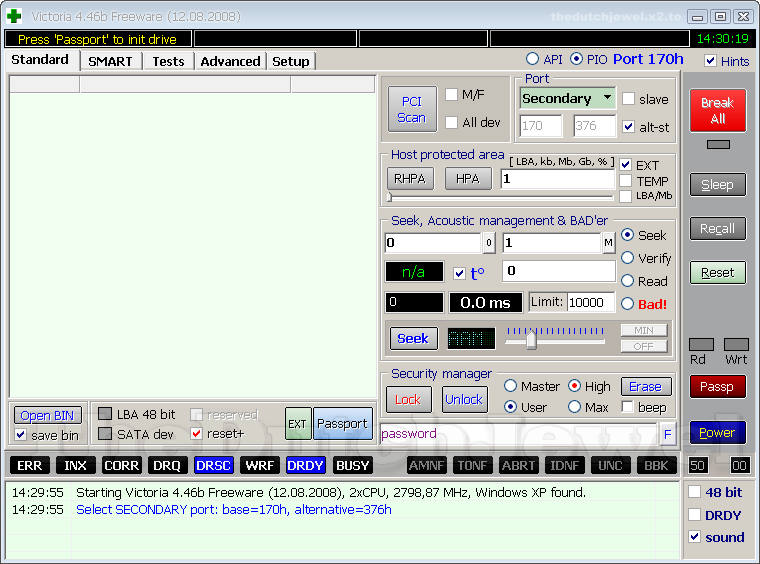 Victoria is still portable- settings saved in INI file (vcr40.ini) inside program folder. The help is in Russian.